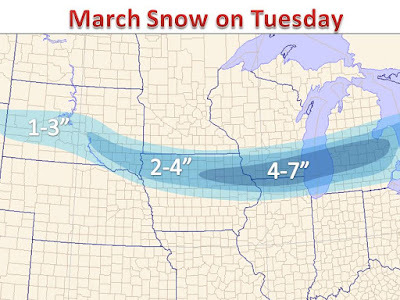 A quick hitting stripe of accumulating snow is expected across parts of the midwest on Tuesday. A northern stream of energy will dive south and join up with a larger system to the south. As this northern piece moves southeast, a narrow area of lift will produce over a half foot of snow in some spots. It's that time of year where the atmosphere is loaded with more an more moisture from the south. 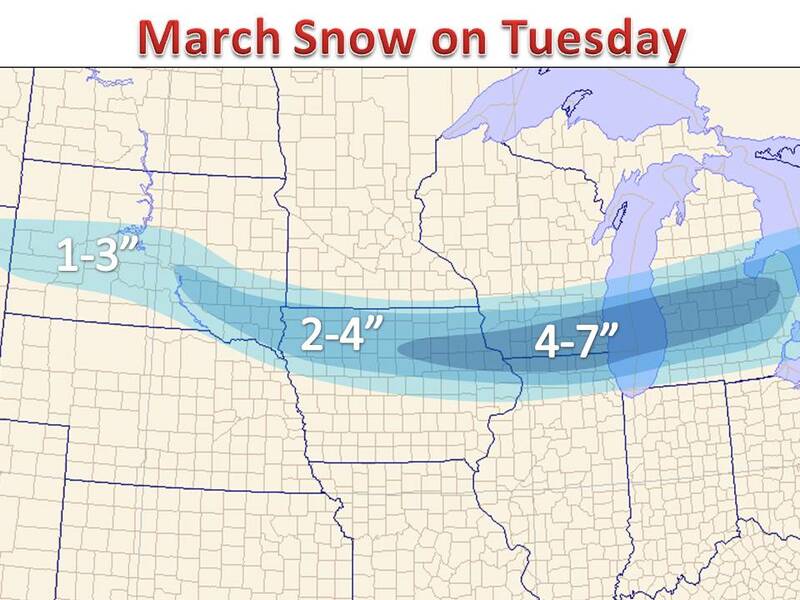 It does not necessary take a massive area of low pressure to pile up some higher totals. However, these snow events are more isolated and can even overachieve. It's not out of the question to see some very isolated locations come in with 9" or even 10" by Wednesday morning. With that said, most places along the axis of accumulating snow will see 3-6" of snow on Tuesday, with less expected on roadways as the pavement temperatures will be borderline to not melt away the falling snow. Winter storm warnings are also in effect for Southern Wisconsin and Northern Illinois for the combination of 6" of snow possible and gusty winds as the band of snow works through on Tuesday.